In its recently released H1-17 results, UBA recorded a significant growth in gross earnings (+34.51% y/y), driven by impressive growth across income lines– interest income (+44.25%) and non-interest revenue (+16.01%). Over H2, we believe the improved yields on interest earning assets (expanded 205 bps to 12.32% in H1-17) – from repricing of loans and elevated yields on investment securities – will remain robust. Hence, for 2017F, we forecast 50 bps y/y expansion in asset yield to 12.15%, resulting in interest income growth of 22.18% y/y to N322.53 billion. On NIR, we believe the gains on FX trading (due to fx related gains and derivative transactions) and growth in fixed income securities trading will persist for the rest of the year (albeit marginal over H2), and as a result, we forecast NIR growth of 24.90% y/y to N132.01 billion for 2017F. Accordingly, we have raised our gross earnings growth forecast higher to 49.44% y/y (previously 30.28%) in 2017F to N470.50 billion. On funding cost, we have reviewed our 2017F cost of funds estimate 43 bps higher to 4.11%, translating to an interest expense growth of 27.82% y/y to N126.25 billion. Our upward review is driven by the surge in interest charge on borrowings – a development we attribute to the bank’s recently issued USD500 million Eurobond at a yield of 7.875% and a range of bilateral facility secured during the year – and Fed Rates hikes impact on LIBOR linked borrowings. Note that these drove 38 bps y/y rise in cost of funds to 3.75% in H1-17. However, we believe the strong yields on interest earning assets will outweigh the expansion in funding cost, thus, we estimate net interest margin to advance 32 bps y/y to 7.02%. In H1-17, loan loss provision (+104.25% q/q and 8.94% y/y) surged, resulting in 129 bps y/y uptick in cost of risk to 1.93% (NPL came in ahead of 2016 level at 4.20% in H1-17), above management’s 1.5% guidance for 2017F. The expansion in cost of risk during the period stemmed from an additional N8.57 billion provision for specific credit loss impairment, which we believe relates to exposure to general commerce, manufacturing, oil & gas, and power. At 4.2% in H1-17, NPL was well-ahead of 2016FY’s 3.90%. For 2017F, we estimate UBA’s NPL to increase to 4.80%, from 3.90% in FY-16, and cost of risk is expected to remain elevated over H2-17, to 2.00% by year end, translating to a credit loss provision of N32.04 billion in 2017F. Despite the impact of both the change in the treatment of AMCOM levy (which resulted in a one-off charge on other opex) and the increases in personnel expenses and depreciation expense on total opex (37.35% y/y), efficiency measures still improved over H1-17 (supported by the significant growth in operating income), with cost to income ratio contracting 80 bps to 58.60%. For the rest of the year, we believe cost will moderate across key lines, thus, we forecast 22.22% y/y growth in opex to N186.38 billion, translating to a 593 bps y/y contraction in cost to income ratio to 56.77%, while we expect operational leverage to rise to 5.1x, compared to 4.9x in FY-16. Overall, we forecast PBT and PAT growth of 74.51% and 14.28% to N109.87 and N82.58 billion respectively, equating to 14.28% expansion in EPS (2017F: N2.28). 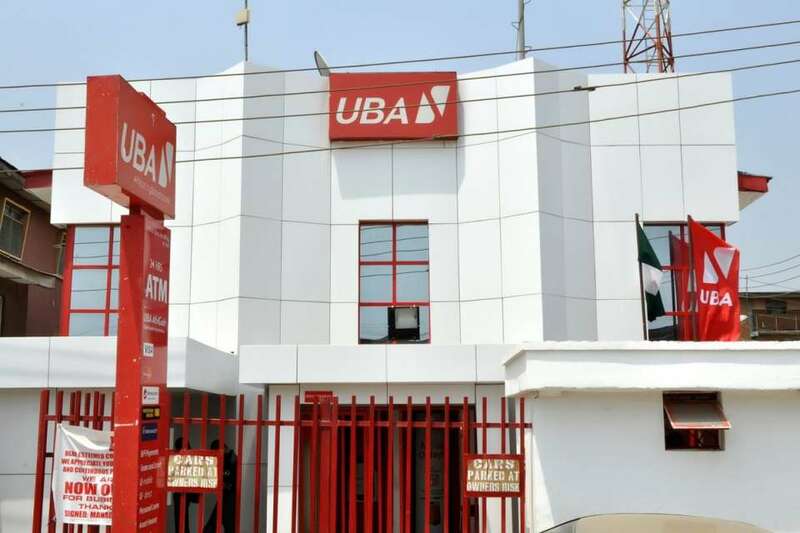 UBA’s FX related gains have been largely buoyed by its sizeable FCY position from the issuance of Eurobond and inflows from other FCY borrowings during the year. The balance sheet as at H1-17 reveals that FCY borrowings worth USD405.46 million (Citi Bank Syndicated Facility USD30.46 million, Africa Trade Finance Limited USD75 million and Credit Suisse Tranche A & B USD300 million) are due for maturity between August and December 2017. As such, we believe PAT growth will be marginal over 2018-2019F, as FX related and revaluation gains taper and NIR contribution to gross earnings contract. Following the upward adjustment to EPS, we raised our target price by 12.17% to N12.62 (previous: N11.25) and rolled forward our valuation to 2018. Our current 12-month TP implies upside potential of 31.59% from current levels; consequently, we recommend a BUY on the stock. UBA is currently trading at 2017F P/BVPS of 0.7x (below the peer average of 0.9x, but in line with the 5-year average of 0.7x) and 2017 FP/E of 4.5x (below the peer average of 5.5x, but above the 5-year average of 3.1x).